The slow crawl towards a global ZenPad release continues. Asia has seen some models available to buy, namely the ZenPad C 7.0 in both wifi (Z170C) and 3G (Z170CG) versions. Now we are reading about the Philippines and their somewhat low key ZenPad launch event. Although the ZenPad C 7.0 is available now to buy, we have some of the other prices and in particular, the ZenPad S 8.0 model. Yes, this is the Z580CA that Asus Philippines was showing off. That’s the fully stacked model in case you’re wondering! In terms of the release date schedule, we haven’t found those details just yet. However, the accessories are reported to be shipping sometime in mid-late August. In terms of pricing and how reasonably priced the ZenPad S 8.0 is in the Philippines, let’s look at some numbers comparisons. In the US, this same tablet is priced at $299 USD. In Canada, it’s priced at $399. When we do a conversion on the official announced price in Peso (16,995), it works out to $372 USD and $487 CAD. Those of you living in the Philippines should do a price comparison with the iPad Mini for a better perspective on pricing. Tell us in the comment section! Would you know if the fully stacked model in LTE version can do normal GSM phone calls like some samsung tablets can? Will they be selling their accessories especially the Z Stylus and their cases as well? Where are their brick and mortar stores here in Manila? Sorry to tell you that the ZenPad S 8.0 has no LTE or 3G models available. Hopefully next generation they bring that! I would expect the full range of accessories to be available. It might take a few weeks though. 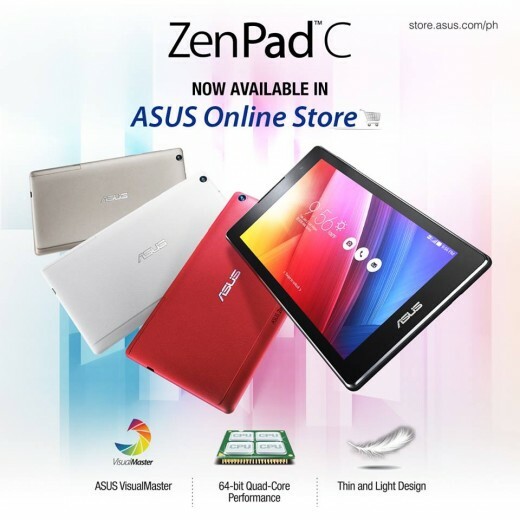 We posted an article about where to buy a ZenPad in the Philippines a few days ago. Hopefully that list helps! So, it’s now October. WHERE OH WHERE IS THIS ZENPAD S 8.0 IN THE PHILIPPINES? It’s now October 13. Are you even reading the your own comments section? No reply whatsoever from you guys as to where we could but the Zenpad S 8.0 4GB RAM 64 GB ROM….